Businesses of all sizes and industries are increasingly turning to cloud services to achieve speed, agility, and ROI. According to Goldman Sachs, spending on cloud platforms and services are growing at 30% compound annual rate and cloud adoption by businesses is accelerating faster than industry analysts have previously expected. Translation services are not an exception as the traditional localization model is too rigid, slow and not scalable. Only cloud translation services are able to meet today’s digital economy translation requirements. Today’s enterprise translation requirements are agile. Traditional translation models are inflexible and too slow to respond to rapidly changing translation demands brought on by the digital explosion. Only a cloud translation service can deliver real time, continuous, and large scale translation solutions. The digital economy is forcing businesses to abandon old development models because the Internet means global reach is no longer reserved for only the deep-pocketed brands and the ability to conduct simultaneous global marketing campaigns in multiple languages is not only possible but increasing a winning strategy to grow business internationally. Only cloud translation services like Stepes with their large technology infrastructure and vast international linguistic resources are able to meet these multilingual, very fast, and multi-channel translation requirements. Unlike working with traditional translation companies that require complicated contract negotiations and time-consuming infrastructure setups and on-boarding, Stepes cloud translation services are rapidly deployed and ready for use in a matter of minutes instead of the weeks or months legacy models take. Customers simply sign up for an account on our translation cloud and they are ready to immediately get documents translated on-demand. Stepes ensures the highest level of language quality by matching our customers’ document translation needs with the most qualified linguists from our large network of pre-approved translators who specialize in the client’s industry and subject matter field. As a cloud service, Stepes customers only pay for what they use and still enjoy the lowest cost. There is no commitment to a minimum annual spend, and if a customer is not happy with Stepes for any reason, they can immediately cancel the service at any time with no questions asked. With Stepes, customers are never locked into multiyear contracts that’re hard to change or back out. Better yet, customers never have to worry about outgrowing the translation vendor’s capacity when their translation volume grows because the Stepes cloud model is built for flexibility and scale. Stepes cloud translation solutions are optimized to scale so as your business grow internationally and your increased translation needs are always expeditiously handled without impacting performance. We have the technology infrastructure (hardware, software) as well as one of the largest translator resources in the world to ensure that we have the capacity to handle your peak language demand. On the other hand, our cloud translation model has the built-in elasticity to handle periods of low demand because we are able to automatically allocate the right amount of resources matching your actual translation needs at any given point in time. No translation technology is complete without offering its customers the ability to develop customized applications through APIs. 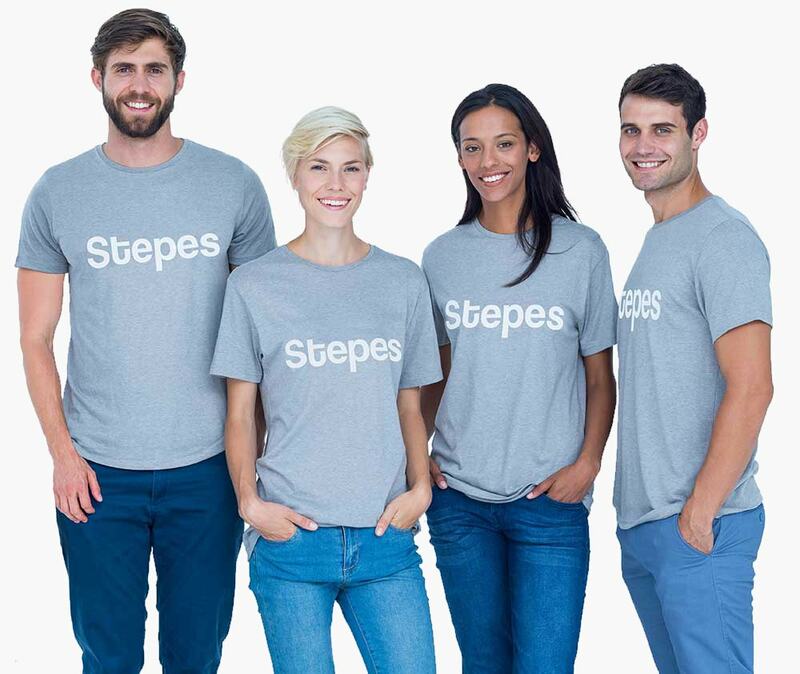 Stepes has developed a full set of cloud translation APIs and RESTful APIs that allow our customers to build enterprise applications to deliver quality human translation services on-demand and on the cloud. No other translation companies even come close to Stepes for developing innovative and game-changing language technologies to meet the rapidly changing digital world. Indeed, Stepes disrupts the legacy language industry to bring real-time human translation services anywhere, anytime, on the cloud, on the desktop, and on mobile. Stepes is the first company to launch professional human translation services on mobile devices. Our patent-pending mobile translation technology unlocks the power of the smartphone to provide our clients with on-demand translation services anywhere and anytime. The world has over 6,500 languages and 7 billion people. How do we communicate? How do we understand each other? The answer is Big Translation. Only mobile translation powered by the cloud can bridge the language communications gap. GMScloud is our proxy website translation system that uses the cloud to streamline website localization for speed and agility. It also uses the cloud to host the translated websites so you get very fast performance no matter where your customers are accessing you web content in all languages. GMScloud greatly simplifies the website translation process by eliminating the need to manually import and export web content for translation. In fact, our cloud translation process means there is no need to even export/import your content at all because GMScloud automatically crawls your site and translate the content on-demand. Most importantly, GMScloud keeps your translated websites always up-to-date by capturing any future updates automatically. Need Enterprise Cloud Translation Solutions?